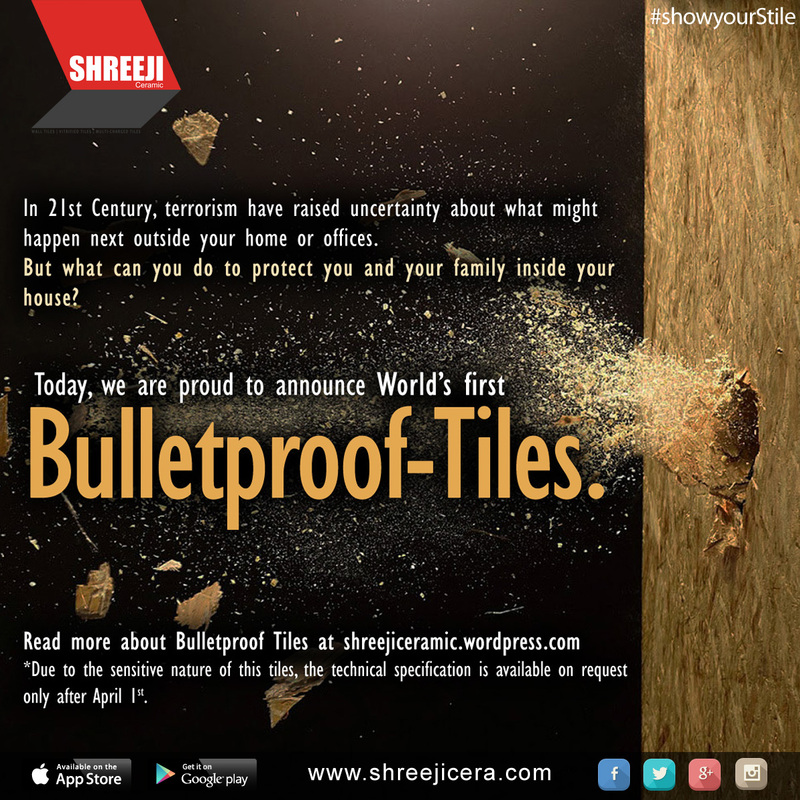 Posted on April 1, 2015 March 31, 2015 Categories shreeji ceramicLeave a comment on World’s first Bulletproof-Tiles. 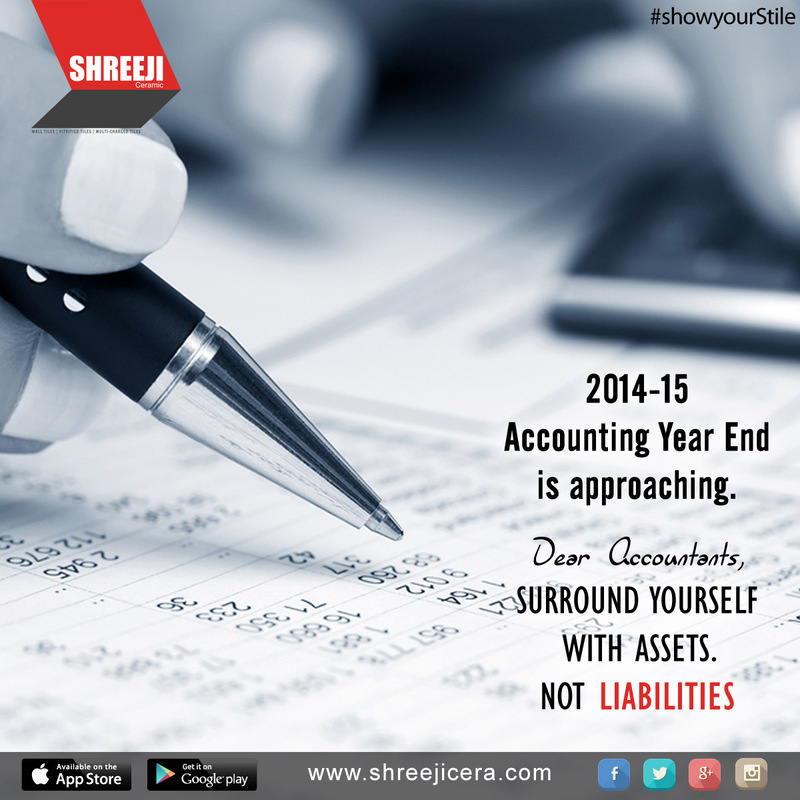 Posted on March 31, 2015 Categories shreeji ceramicLeave a comment on 2014-15 Accounting Year End is approaching. 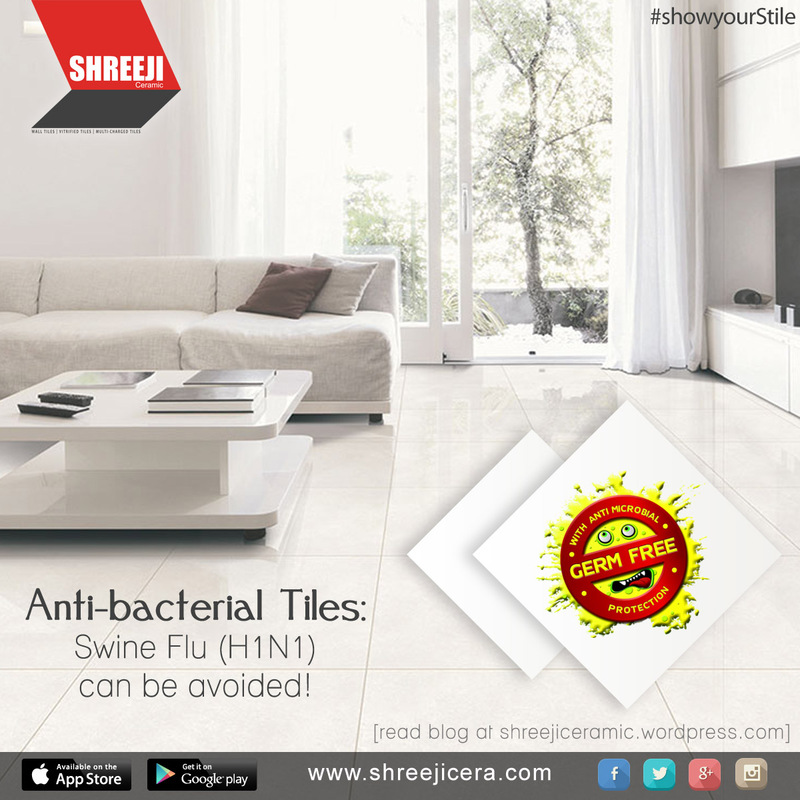 Anti-bacterial Tiles: Swine Flu (H1N1) can be avoided! Tiles have become a lifestyle statement, be it on your floors or walls of your bathroom, kitchen or living space. They have left mosaic, marble and wooden flooring far behind. But if one goes by what expert suggest, in times to come you can expect continuous technologies advances in tiles for homes and office. Besides being beautifully designed and advanced in terms of style, Shreeji Ceramic have special anti-bacterial Vitrified tiles which help to keep germs away from your family and also don’t let the germs grow causing health hazards for your family. You might be aware that the new version of swine influenza virus (H1N1) is spreading from person to person by the normal transmission routes associated with colds and seasonal influenza. These Viral particles can survive on any surfaces for certain periods. Thus, a regular and targeted regime of surface cleaning is helpful to prevent the spread of swine flu. Our internal research says antibacterial tiles are tiles that, by nature, resist germs. The tiles usually made from clay, have mineral particles such as titanium dioxide embedded in them. It won’t kill viruses but when sunlight or artificial UVA light falls on the tiles, the reaction with titanium dioxide would kill the bacteria. It’s always best to take precautions than to treat the disease after getting infected. To prevent illness and infection, proper hygienic practices and cleanliness measures are required. It is important to have a safe and healthy home that keep your floor, kitchen and bathroom germ-free. While Vitrified tiles offers better sanitation, we recommend standard hygienic practices be followed for maximum protection. Like other ordinary tiles, you can keep your floor clean with mild soaps or detergent. -Wash your hands often with soap and water especially after you cough or sneeze. -Cover your mouth when you cough or sneeze. -Avoid touching your eyes, nose or mouth. Germs easily spread that way. And if you think you caught in Swine Flu – please stay home and call your GP. Spread the words. Not the germs. 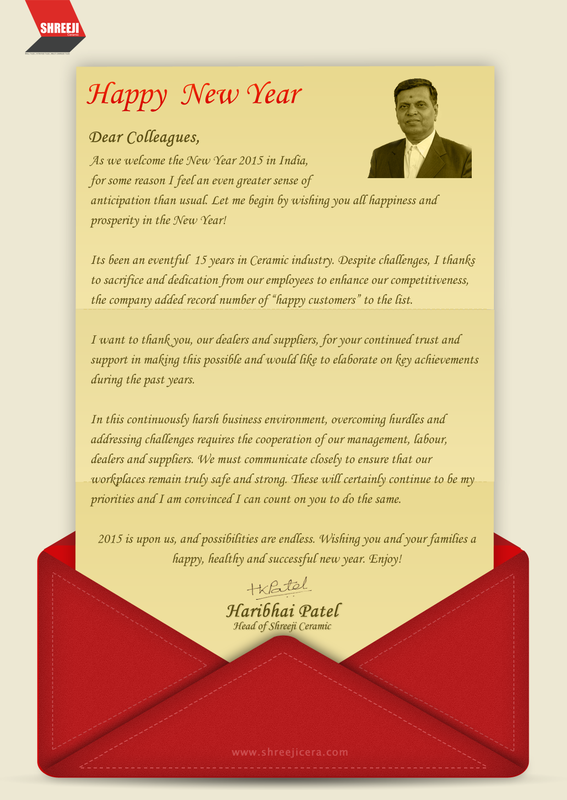 Posted on February 26, 2015 Categories shreeji ceramic1 Comment on Anti-bacterial Tiles: Swine Flu (H1N1) can be avoided! 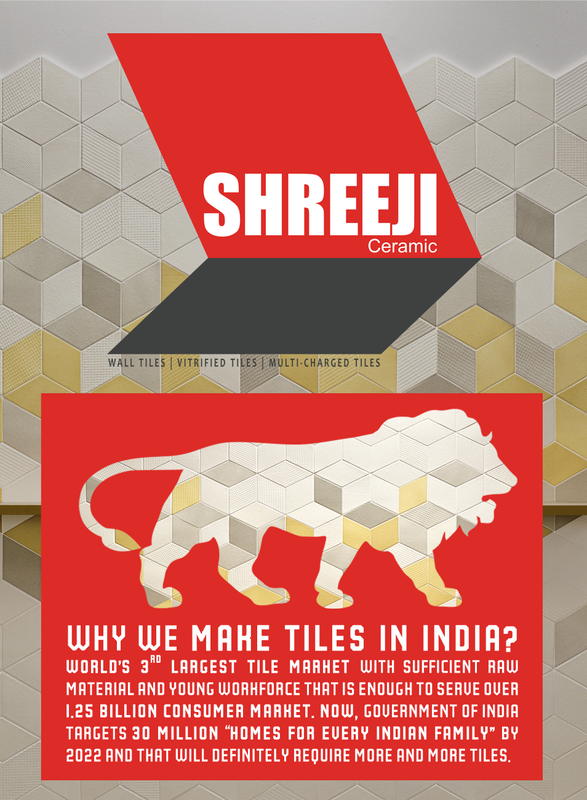 Posted on January 7, 2015 Categories shreeji ceramicTags indianceramic, indiantiles, makeinindia, maketilesinindiaLeave a comment on WHY WE MAKE TILES IN INDIA? Why tiles for Swachh Bharat? The Swachh Bharat Abhiyan started by our honourable Prime Minister Shri Narendra Modi seems to have inspired many Indians. Swachh Bharat Mission is not only aimed to cleanliness of our surroundings but it indirectly leads us to improve the standard of living and lifestyle by being healthy and hygienic. Cleanliness has in fact become a perception issue with our civilisation. When we ourselves doesn’t like to step into mud, why do we need to create mud then? There always lies a better solution to all problems. Now a days tiles are being used at public places such as toilets, bus stations, railway stations, elevation, footpath, hospitals, malls, and other such places. Tiles will not only beautify the place but it can play a big role to change the perception towards not making it dirty. Modern tiles are made with less water absorption upto 0.05% that prevents getting stain. The glossy surface avoids dirt to stay and it’s easy to clean and easy to fit. Tiles have long life than regular paint. Shreeji Ceramic provides you ISO certified wall and floor tiles that helps you make your interiors and exteriors more clean and hygienic. 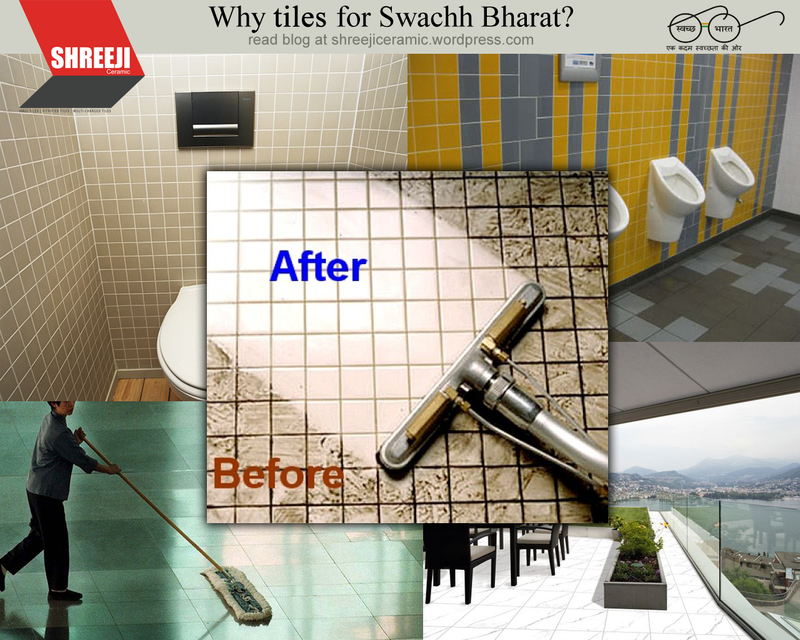 Swachh Bharat is definitely possible if we act upon it and tiles can play a major role in beautifying India. Mahatma Gandhi said, “Be the change you wish to see”. Inspired by his words, #showyourStile with creative and innovative ideas to make your neighbourhood and our country hygienic place to live in. Let’s work together towards success of Swachh Bharat Mission. 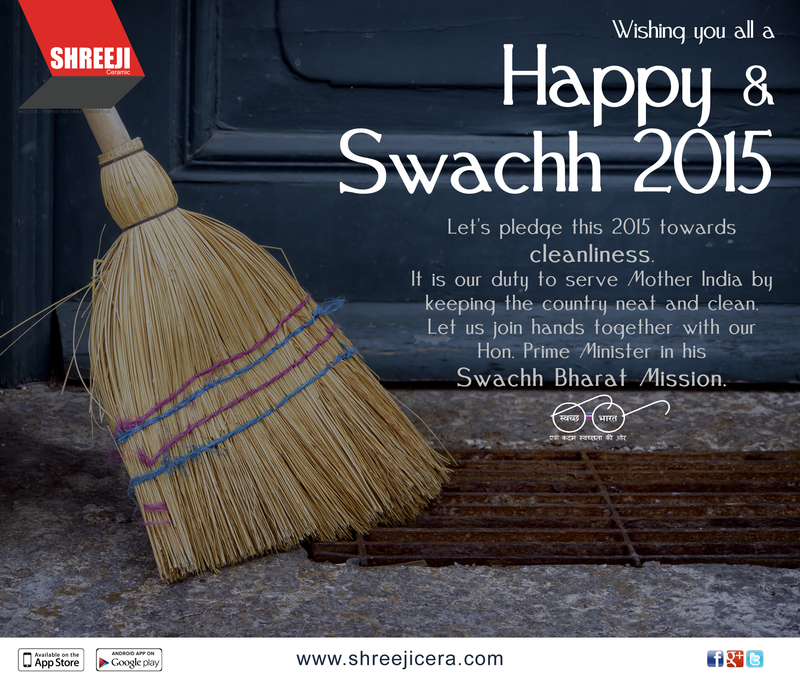 Posted on November 30, 2014 Categories shreeji ceramicLeave a comment on Why tiles for Swachh Bharat?